A URL consists of various segments including parameters like UTM codes. If you shared a URL of any item on Amazon, you might have noticed that those URLs are very long. Those types of URL contain UTM code parameters to track the info like source, campaign, medium, etc. In a URL, the URL Parameters start after the “?” and contains a value. A URL can have multiple parameters separated by commas. 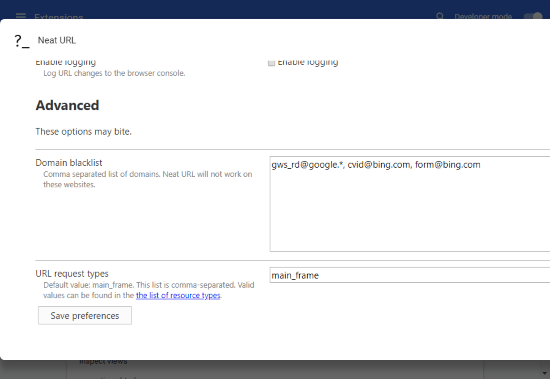 When a page is requested by a user, parameters are set dynamically for that page and added in the URL. URL parameters are used to make a web page dynamic so that a single page can power an endless number of views. Whereas, UTM code parameter is used to identify the source, medium and campaign name. UTM codes are used by services like Google Analytics to identify the source of the traffic and the campaign that redirected it. If you don’t want any website to identify the source or campaign, you can remove these parameters from the URLs before opening them. Removing these parameters make the URL small and neat. You can manually remove parameters from a URL, but it seems to be a time-consuming task and you have to be very careful. 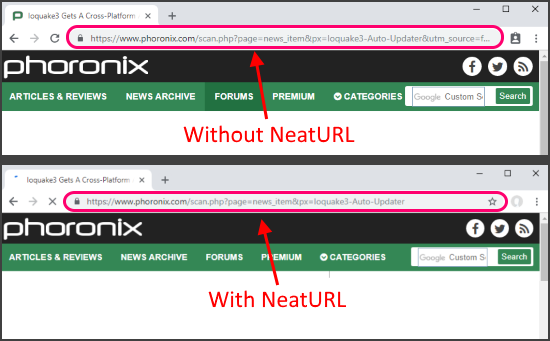 In this article, I will cover a simple and fast method to remove parameters from URLs. NeatURL is a free Google Chrome extension that automatically removes the parameters and UTM codes from URLs and makes them neat. This extension is available for Mozilla Firefox as well. You can add it to your respective web browser by following the links given at the end of this article. If you don’t want to clean all the URLs in your web browser, you can define parameter rules with NeatURL. In the extension options, you get an option to block specific parameters. 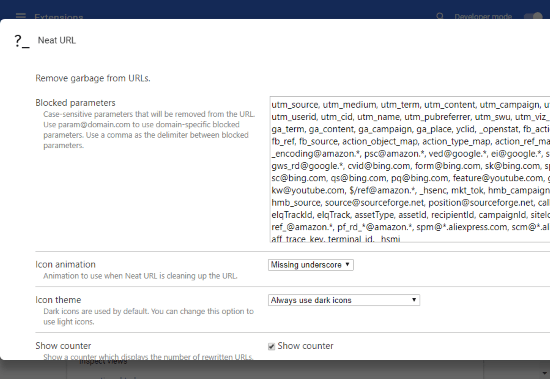 Here, you can enter the parameters in the global or domain-specific format to block them on your browser. All the parameters you enter in this list will be blocked and cleaned whereas, all the other parameters will not be removed from the URL and will work as usual. If you don’t wanna work with confusing parameters then this extension has another more simpler option for you called “Domain blacklist“. Here, you can enter a list of domains which you want NeatURL to exclude. Once you do that, NeatURL will not work on the domains present in this list. This way, you can whitelist a handful of domains and block the rest. Get NeatURL for Google Chrome here. Get NeatURL for Mozilla Firefox here. NeatURL is a simple tool to make the URLs small and clean. It gives you a neat URL by removing all the source tracking parameters. This tool comes in handy when you are concerned about your privacy and don’t want domains to track your info.